He was very friendly and I mentioned to him about seeing him when he came to Nottingham to perform in Sleuth. station commander. Simon was educated at Haileybury College (later becoming head boy) in Hertfordshire from 1965 until 1970.
the Air Training Corps with ambitions to follow his father into the RAF, but this was thwarted because his eyesight was not sufficiently good. A childhood love for drama led to a place, in 1971, at Studio '68 of Theatre Arts, in South Kensington, London, where he took acting classes and revealed a real talent. At the end of his first year there, he was spotted playing the lead in The Dark Lady of the Sonnets at the George Bernard Shaw festival in Ayot St Lawrence, and promptly signed up to an agent whilst still at drama school. directing The Merchant Of Venice (1981) in Los Angeles and Sleuth (1982) in Houston and Dallas. 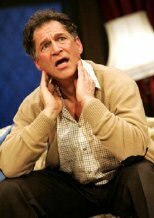 He played the part of crime writer Andrew Wyke in a national tour of Sleuth (2008) with Michael Praed, and then took over the role of Captain Von Trapp in a London Palladium production of The Sound Of Music (2008-9). wider public. This was quickly followed by Riddle in the Sands (1979), with Michael York and Jenny Agutter. Hospital (1974); Sutherland's Law (1975); Beasts (1976) and Within These Walls (1976). He played Paris in Romeo And Juliet (1976), Lucius Caesar in I, Claudius (1976) and Lucius in Jesus Of Nazareth (1977), the ITV epic directed by Franco Zeffirelli. The role of a young astronomer Joe Knapp, saw him team up with John Mills as the Professor in the four-part Quatermass (1979), while in an episode of The Dukes of Hazzard (1979) he plays Gaylord who claims to be an English cousin of the Dukes. on the Nile and Riddle of the Sands, MacCorkindale looked for success in America, appearing as an English aristocrat David Clement, alongside Pierce Brosnan and Kate Mulgrew in the mini-series The Manions Of America (1981), about a family of 19th-century Irish immigrants. Other American TV roles followed in episodes of Fantasy Island (1981), Hart To Hart (1982) and Dynasty (1982). 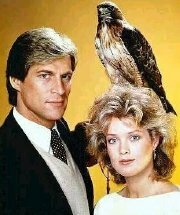 Manimal (1983) proved to be an unpopular, eight-episode American TV series in which Simon MacCorkindale played Jonathan Chase, a man who can change into any animal in order to fight crime! The company, based at Shepperton Studios, produced films that included Stealing Heaven (1988); That Summer of White Roses (1989) and The House That Mary Bought (1995). television adventure series Counterstrike (1990-93), playing ex-Scotland Yard inspector Peter Sinclair, who becomes a private troubleshooter fighting terrorism. He appeared in all 65 episodes of this popular drama, filmed in France and Canada. Dusty Death (1996) and Baden Smythe in Running Wild (1998). Other TV work included an episode of the science fiction series Earth: Final Conflict (2000); the adventure drama The Dinosaur Hunter (2000) and two episodes of the mystery thriller Dark Realm (2001). Century, MacCorkindale was back in Britain, becoming known to a new generation of British TV viewers when he joined the popular, extremely long-running BBC hospital drama Casualty, as the consultant Dr Harry Harper. He appeared in 229 episodes from 2002 - 2008. 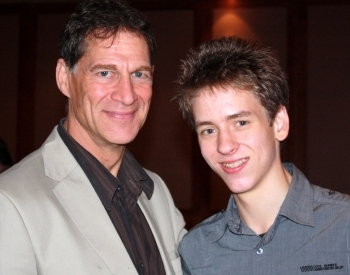 His character was also seen in the spin-offs Holby City (2004-05) and Casualty @ Holby City (2005). Simon MacCorkindale was married to the actress Fiona Fullerton in 1976 but they divorced in 1982.
met at a charity concert in the Grosvenor House in London in 1977 and over the next few years became good friends.They married in secret in Fiji, but later held a second ceremony for their family and friends back home in Berkshire. In May 1995, Hello! 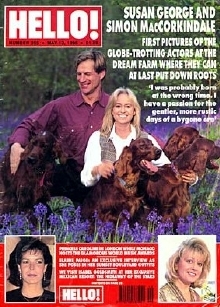 Magazine ran a feature on them, complete with some lovely photos taken at the farm that was then their home. 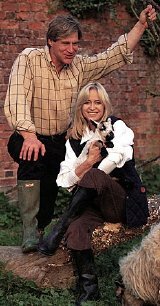 With Susan's love of horses, they later moved to a stud farm in Devon where they bred champion Arabian horses. combat it - giving up work and spending 12 weeks in Atlanta, where he had extensive treatment before returning to Britain. Sadly, the disease took his life on 14th October 2010. 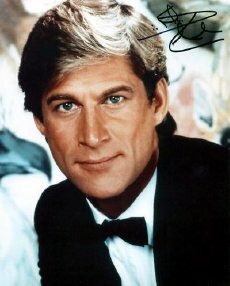 I met the actor Simon MacCorkindale in London in October 2008 where he was one of the guests at Autographica, along with his wife, Susan George.